It was foggy this morning. I have tea every day, but on a foggy morning it’s even more wonderful. 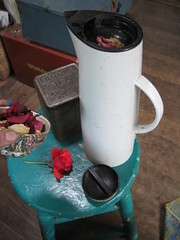 I use PG tips, a pretty ordinary (British) blend, ‘corrected’ with dried petals from “Fragrant Cloud”, also shown. Listening to Democracy Now, where Amy Goodman interviews Michael Moore who reminded me of the loud, mixed response at his Oscar-winning moment: the directors and actors cheering the solidarity of the documentary film makers ( and the anti-war speech one of them began to make until the band struck up), and the heavy booing from the upper level where all the sponsors and bankers sat! Apparently, only a couple of minutes before, Moore got an 8 minute standing ovation–“bigger than Kurosawa’s”, an official told Mr. Moore. The aftermath for Moore was death threats on all of his family, physical attacks, vilification in the New Yorker and NYT, house vandalized, and body guard budget. You gotta hope he’s allowed to live a long-enough life. 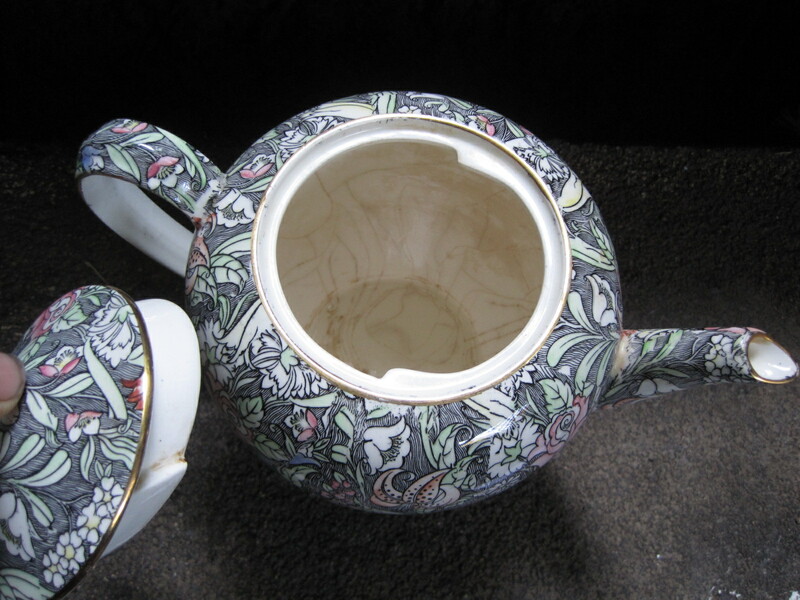 Back to frivoli-tea…I am going to produce a chapter this morning–the Fabulous Me book. Powered by dried flowers, hot water and a couple of tired crumpets slathered with Lemon Crud. Oh, wait. Sun’s out. Possible change in planz. Check out this Zippy ‘toon. Sums it up. ~ by jacquiephelan on July 5, 2010. I really hope you do get a rough draft at least of a chapter of your book down soon. What would really encourage you to do it? I’ll even pay in advance for my copy, what do you think $25 for a hardbound? Take it from me, you do not want other people telling your story for you when you are gone or no longer able to tell it. For one, they will miss all the truly juicy parts and second, no one writes like you do, and I want the fun of reading what you’ll share, right from the horses (Sagittarius’) mouth. Need a friendly editor, let me know. As my late great (also a Sagittarius writer -celestewest.wordpress.com) used to say, a Yang writer needs a Yang editor. As a multiple Aries I might just do. Jacquie, You should try Yorkshire Tea instead of PG – far superior (it doesn’t need to be corrected). I’ll send you some if you can’t get hold of it.